LEWISVILLE, Texas (March 15, 2016) – Metl-Span has introduced Hef-T, an improved aluminum ceiling support designed with a stronger T component for ceiling applications. Hef-T has a taller web (vertical leg), offering customers longer panel length options when the rod spacing exceeds 5 feet on center. The taller web also means the Hef-T can be used with 3-inch and thicker CF panels from Metl-Span. It also has notches at the two edges of the flange that allow for the installation of a snap-on PVC cover when used with the CleanSeam panel. The Hef-T, as part number 9467AWH, and splice plate set, part number 9463GNC, is now available. 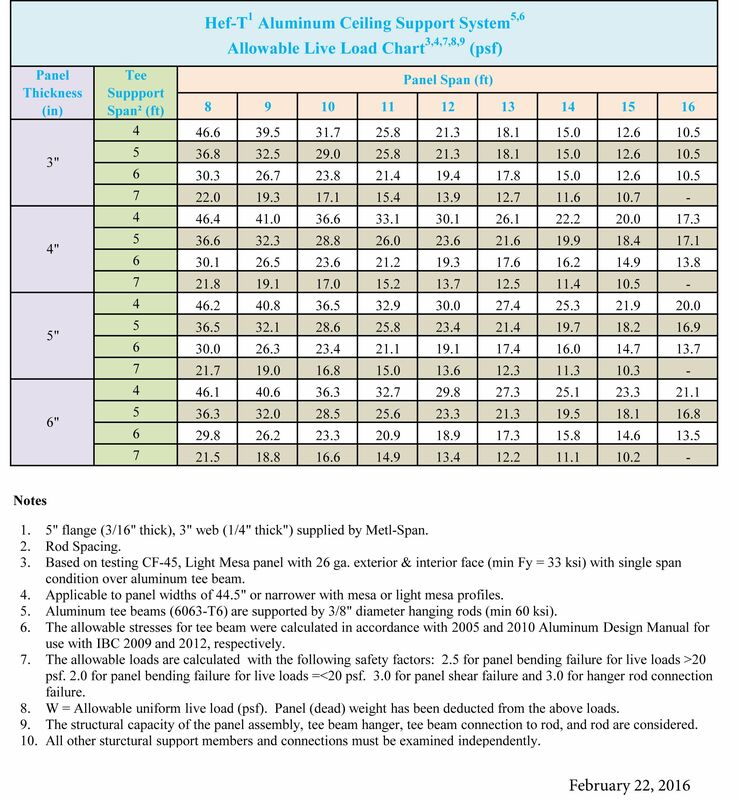 The allowable load chart is available for download here. It’s available with CAD details for Hef-T at www.metlspan.com, in the Document Library, under Resources. The existing T support, Tuff T, part number 9466AWH, and splice, part number 9462GNC, is available and recommended for use with panels between 2 and 2-1/2 inches in thickness. The Tuff T and existing splice plate will not be stocked and will be subject to custom extrusion lead times.